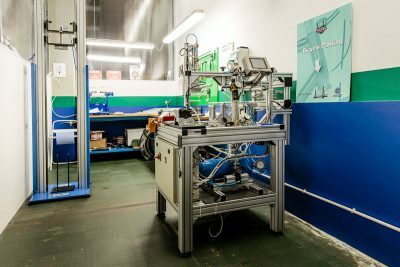 Our testing and measuring lab is the flagship of our business. More and more companies understand the importance of properly testing products, during the development/validation phase, and in production auditing. It is primarily a matter of doing things seriously, but also a smart investment: a product that has followed a serious development path, that is compliant with the law, but possibly exceeds the minimum legal requirements, has a much lower probability of having problems in the field , has lower after-sales managing costs and, in the event of a claim, can be effectively defended in litigation. Finally, the “non-traditional” or “non-standard” road wheels (practically all the wheels used in competitions) are allowed in races only if they pass the UCI test and if they are included in the list of wheels admitted to competitions. This is why, besides offering custom testing protocols, we offer UCI and ISO testing and certification. 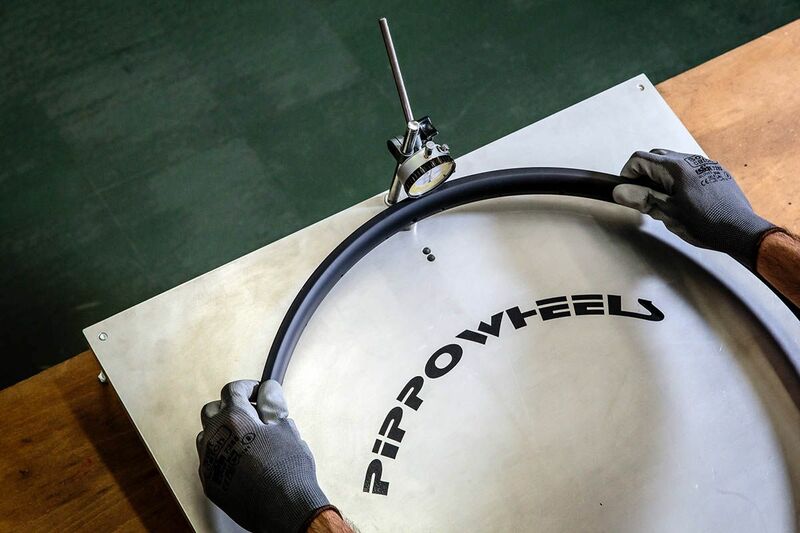 Many of our customers ask us to check out certain rim dimensions, before we build the wheels, both as a quality control and to understand what is the maximum precision obtainable during the wheel truing phase. 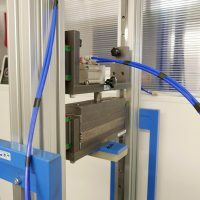 We have created a machine that not only allows us to perform the new UCI impact-test in force from 1 January 2016, but also allows us to carry out impact tests customized according to customer needs. We can also assist the customer with all the necessary documentation to send to the UCI. 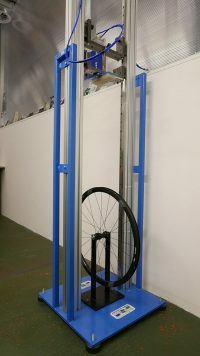 Among the important tests, both in the development phase and in production auditing, there are both ultimate strength tests and fatigue tests on spokes mounted on rims, or on spokes alone. In the first case a rim section is fixed on the jig and an increasing load is applied to the spoke, until failure, recording the traction value. In the second case, cyclic load is applied until failure or according to an established protocol. 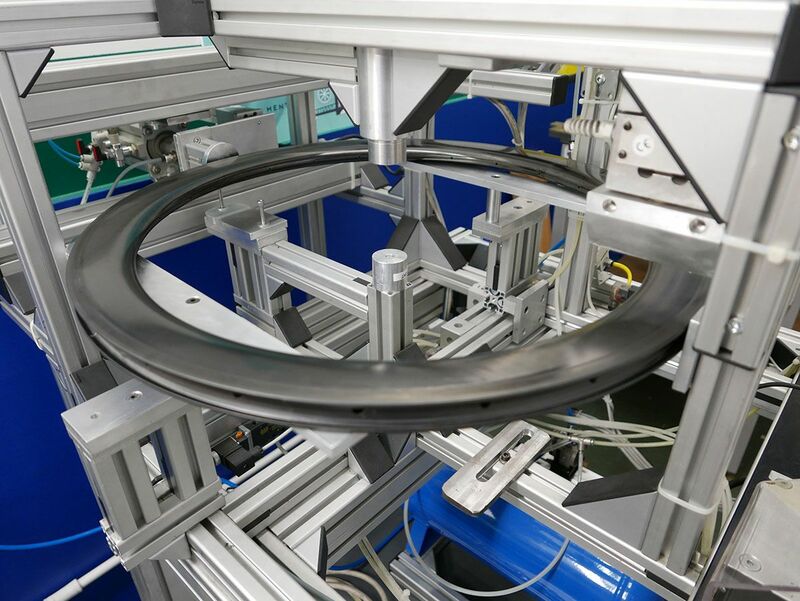 Our test machine has a series of functions that go well beyond what is required by the ISO test (fixed load on the drum with bumps), the angle of the wheel can be varied (according to the customer needs) with a programmable angular movement up to +/- 20 °, and the drum can be moved axially, in order to create a dynamic side load at the level of the tire. The entire test cycle is monitored with a video camera, to better understand any failures. Of course there is absolute freedom to program the load, the speed and, as mentioned, angular movements of the wheel and axial movements of the drum. The test can be programmed in the smallest details. 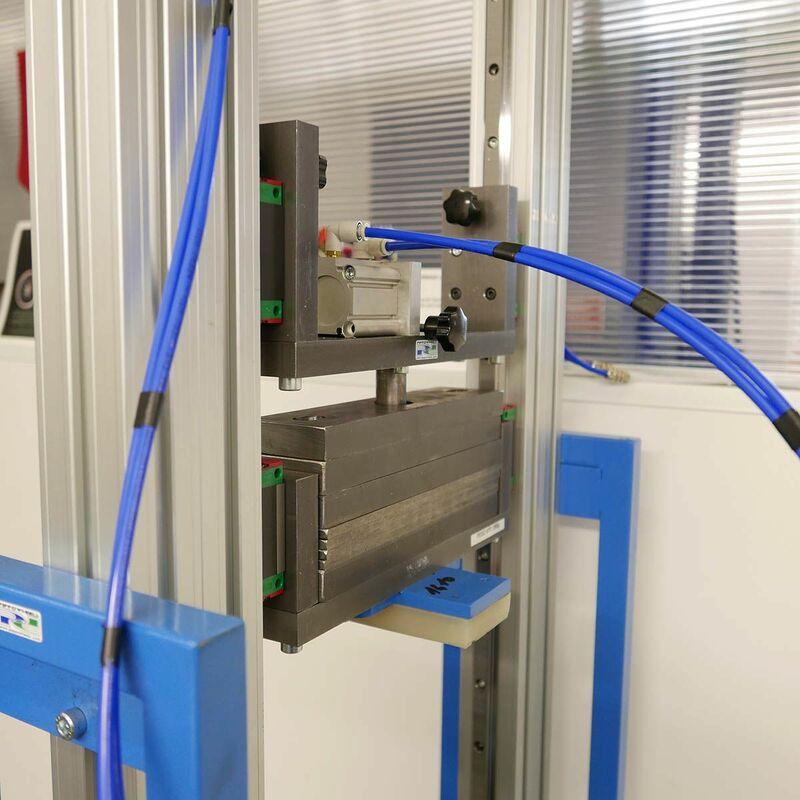 Duration, drum speed, lateral movement of the drum, wheel load, angular movement of the fork holding the wheel, number, position and height of the bumps … And everything is monitored and recorded to properly document the test performed. During testing a video camera monitors the wheel and records in real time events such as tire bursting or spoke or rim failure. It is an important function because sometimes without a camera it would be impossible to tell with certainty cause and effect. or request a new access here. If you need assistance contact us through the contact form.